Studying on the Faculty of Business Economics – Valjevo represents classic European system in which practice is dominating in relation to theory. Students are left with enough time to deal with their errands outside of faculty. Wide compatibility of the program with documents from European Union (Bologna Declaration) in practice means that students, with their choice to study on Faculty of Business Economics, are opening the door for their further schooling, work, as well as work in foreign countries. Acquired theoretical knowledge from this faculty students can fully apply in practical parts of the profession. They arrive on the market fully ready and trained – they develop completely different knowledge, capabilities and levels of confidence such as way of written and spoken communication. Big part of the attention is given to the analysis of the cases, solving practical problems, organizing of the workshops and other. The atmosphere on the Faculty is encouraging the motivation for studying, and the opinion of the students is appreciated; students are not unimportant. Professors and teaching assistants are open for conversation, and student’s suggestions, if they are applicable, are accepted. During the studies on undergraduate academic studies – International Business Economics, students have the possibility of choosing subjects according to their interests, thanks to the electoral subjects. Student is constantly working on himself and, in the end, with their devotion, they are achieving the results that they didn’t think were possible. Through intensive learning of foreign languages (apart from English, it is possible to choose to learn some of many world’s leading languages – Russian, French, German, Italian, Spanish, Chinese or Japanese language), students get the possibility of easier communication and using foreign literature which isn’t available on Serbian language. Students can study on all study levels – undergraduate academic studies – International Business Economy; master studies – Geoeconomical and Regional Studies and Banking and Finances; and doctoral studies – Joint Program of Doctoral Studies of Economic Sciences. Study programs are accredited at Ministry of Education, Science and Technological Development of Republic of Serbia, or KAPK (documents are available at the web site of the Faculty of Business Economics). 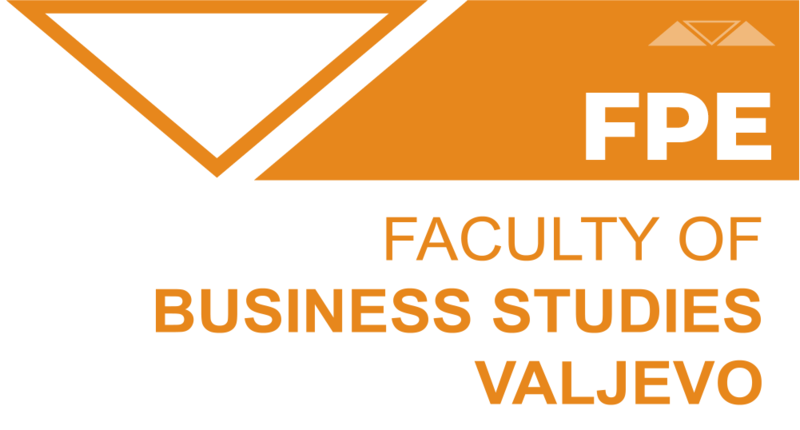 Why Faculty of Business Economics Valjevo? The Faculty of Business Economics in Valjevo is part of Megatrend University. Faculty is accredited high school institution which gives the synthesis of the knowledge from the area of modern international business economy to the students. Students are learning about the complete and practically applicable systems of some disciplines and areas that are unnecessary for all levels of projecting and decision-making in business. Graduated students have the possibility of getting hired in a wide specter of institutions which are working with the foreign countries: in private, state and foreign companies and banks, international, economic and financial organizations, public institutions and state organs, diplomatic representatives, non-governmental institutions and other. Study program International Business Economics is a type of high education which is offering applicable economic knowledge and skills in practice of international and home companies. The program is representing the reply to the dynamic changes in business surrounding, to the needs for new competences, knowledge, but also skills that are expected of economics from the enterprises, economy and state institutions. Program is based on existing currents of development of economic sciences and profession in home state region. Doctoral academic studies on Faculty of International Economy are being organized in cooperation with Faculty of Business Studies. On Faculty of International Economics master studies are organized together with Faculty of Business Studies.